Jefferson County Pet Food Pantry : Free Straw for Warm Paws. Free Straw for Warm Paws. 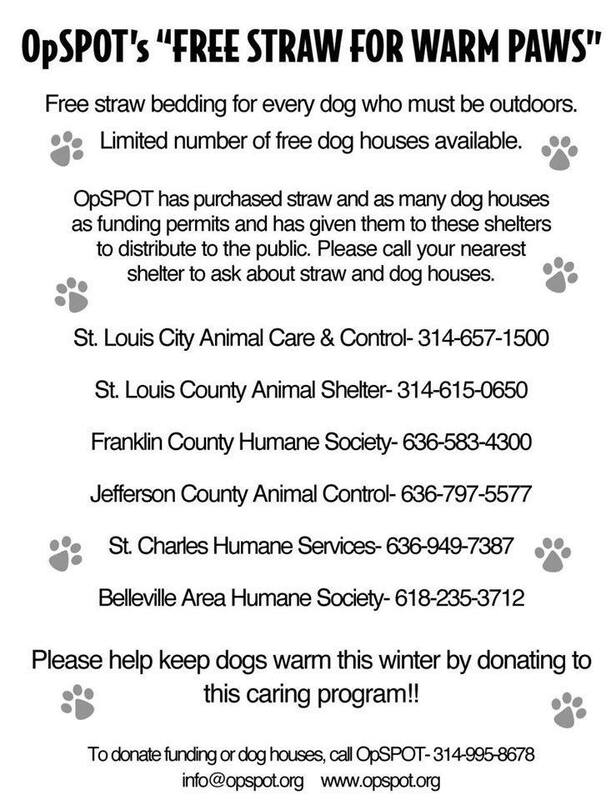 Operation SPOT is once again sponsoring the crucial "Free Straw for Warm Paws" program. Check out the below locations to pick up straw, which makes great insulation for dog and feral cat houses. We really discourage keeping pets outside, but if you must..please provide adequate shelter for them!